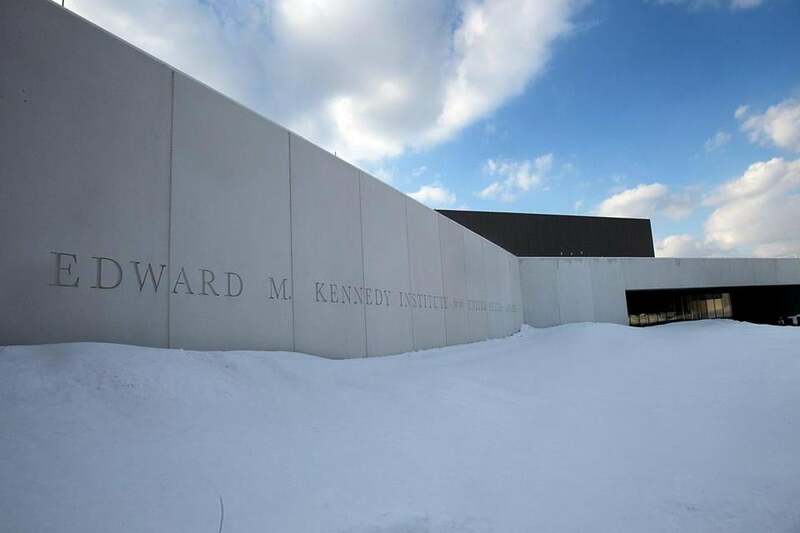 At a time when Congress is divided and disdained, President Obama and a host of other politicians are set to gather Monday to formally dedicate the Edward M. Kennedy Institute for the United States Senate. The $78 million interactive museum is devoted to civic education and selling visitors on Kennedy’s belief in the positive power of public service and the idea that the legislative body he loved can actually get things done. The kickoff inaugurates a new monument to a member of Massachusetts’ most famous political family, placed on Columbia Point in Dorchester, next to the John F. Kennedy Presidential Library and Museum. Obama, Vice President Joe Biden, Secretary of State John F. Kerry, Governor Charlie Baker, the state’s US senators, and other top officials are scheduled to speak at Monday’s event at the institute, a shimmering, high-tech testament to the Senate, as well as Kennedy’s legacy. Then, on Tuesday morning, the institute, which is anchored by a life-size representation of the Senate chamber, will open to the public. Replica of Edward Kennedy’s DC office. Jean F. MacCormack, president of the institute and a former chancellor of UMass Dartmouth, said the main goal is to increase civic education and participation, at a time when many are disengaged from politics and don’t like what they see in Washington. A Gallup poll this month found only 18 percent of Americans approve of the way Congress is handling its job, while 75 percent disapprove. Many analysts worry that the legislative branch has become more and more polarized and less and less productive. Institute officials hope to give visitors, many of whom will be students, more than just a textbook diagram of what the Senate is and how it works; instead, they want to give them a feel for how “the human process” plays into a bill becoming a law. As visitors enter the institute, they will be given a Google tablet that serves as a guide and interactive companion as they make their way through exhibits and learn about the issue being “debated” that day —immigration reform, for example. The experience begins with a short introductory video that gives a précis of the institute’s mission, the sweep of Kennedy’s career, and the Senate’s creation. It includes snippets of Kennedy speeches as well as an upbeat message from the narrator. Visitors then snap a selfie on their tablet, enter their initials, choose their state and party affiliation, and become “senators-in-training.” After learning more about the issue of the day, they can vote on it in the facsimile Senate chamber. MacCormack said the museum’s exhibits can teach visitors that senators can disagree on many issues, but still stay cordial and find enough common ground to move bills into laws. Monday’s kickoff might also represent another type of comity. The Globe reported in 2012 that there was deep discord over the creation of the institute between Kennedy’s widow, Victoria Reggie Kennedy, and his sons, Edward M. Kennedy Jr. and Patrick J. Kennedy. But with the formal dedication, that discord could well be in the past: All three are scheduled to give remarks. The nonprofit institute’s building, which cost about $78 million, is owned by the institute and sits on UMass land, for which it has a 99-year lease. UMass Building Authority bonds helped pay for the building, MacCormack said, but the institute will pay all of the debt service. The institute has raised more than $80 million in private donations, she said, but acknowledged that taxpayer money is a key funding source as well. The institute also got $5 million in Massachusetts state funding to UMass for education infrastructure and programming, officials said. While the ticket price is $16 for adults ($14 for state residents, with other discounts including for seniors and veterans), entry is free for all Massachusetts children under 18. The institute, which will host public debates, lectures, and private functions, has the equivalent of about 30 full-time staff members. 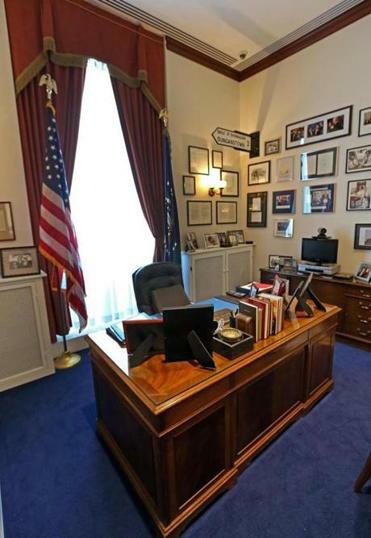 Another part of the museum is an almost exact replica of Kennedy’s Senate office in Washington. Filled with decades of memorabilia, it gives a viewer a sense of the depth of his connection to family, to history, and to the ocean — from model ships to photos of him with family on a boat. Among the many framed items on the wall, some copies of the originals: a missive from Rose Kennedy to her youngest son, correcting his grammar in a speech (“Please say, ‘If I were president,’ not ‘If I was president.’ ”); a handwritten note from a school-age Edward M. Kennedy Jr. to his father about homework; a newspaper clipping (“The Kennedys, father and son, visit Pawtucket”) that includes a photo of the senator and former US representative Patrick J. Kennedy. There are also reminders of older brothers lost: busts of John F. Kennedy and Robert F. Kennedy. And there is a window with a view similar to the one from the adjacent Kennedy Library: overlooking the rippling water off the shore of Dorchester. 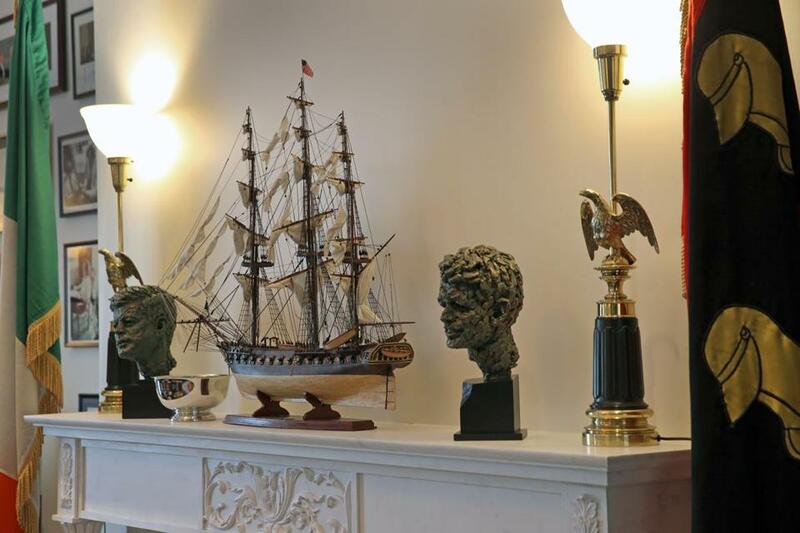 Detail of Senator Kennedy's office.